This year’s La Plata Electric Association board election is a pivotal referendum on the future of our electric supply. Are co-op members happy with the status quo, being joined at the hip for the next 32 years to Tri-State Generation and Transmission’s monopoly on supplying us primarily coal-generated electricity? 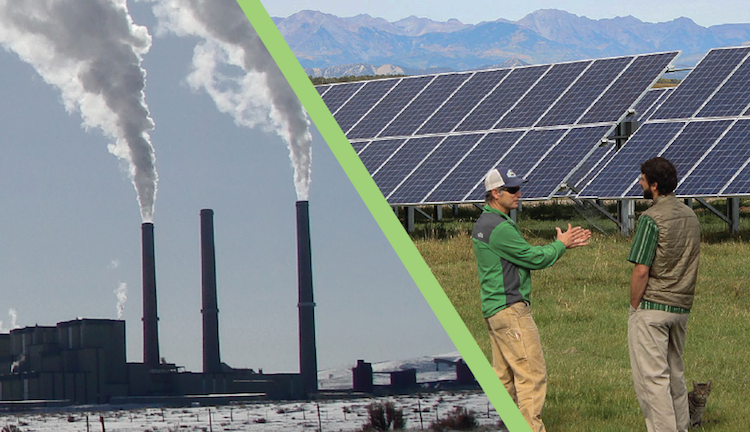 Or do we hope for more local control over our energy choices, one that allows for keeping our energy generation dollars in our own community to purchase cheaper electricity from renewable sources that align with our values? Tri-State recently launched an aggressive, and expensive, lobbying campaign to convince us of its benevolent intention. “Renewable Randy,” a Denver-based actor dressed up like a Hollywood version of a lumberjack, has been a pervasive presence on our televisions, radios and newspapers. His mission seems to be to convince us, the captive purchasers of Tri-State’s electricity, that we should be happy with our fate. Since Tri-State has us all locked into a contract that obligates us to buy 95 percent of our electricity from it and no one else, why does it need an advertising campaign? Tri-State’s advertising blitz coincidentally aligns with the elections for many rural electric co-op boards, including LPEA. Could it be that the Tri-State bosses in Denver hope to tilt the playing field in local elections with this massive lobbying effort, unwittingly paid for by us, the members? Many LPEA members are rightly concerned about rigidly adhering to the existing coal-dominant paradigm of Tri-State’s status quo. Moody’s Investors Services just released a research report highlighting risks faced by generation and transmission entities like Tri-State that are predominantly dependent on coal. As the financial analysts at Moody’s note, the cost of electricity from Tri-State’s existing coal plants now exceeds what utilities are routinely seeing from new wind and solar electric facilities. Moody’s cautions that utilities locked into an increasingly expensive generation source, while competing renewable sources plummet in price, are vulnerable to displacement by those cheaper options. The bottom line is we are handcuffed by an inflexible 32-year-long contract with no guarantee of what our future electric costs will be. Our recent experience of Tri-State doubling the price of electricity over the past 15 years should give us a clue, however. Think of your 30-year mortgage. Would it make sense to be locked into a mortgage you can never refinance, one you can never pay off early and which is practically guaranteed to regularly increase your monthly payments over its duration? Of course, nobody would willingly sign up for that kind of mortgage. Which is why it is so important that LPEA members elect a board willing to challenge the status quo and to ask hard questions of Tri-State’s Denver managers about why they refuse to allow local co-ops the flexibility to invest in and generate electricity that benefits local communities and furthers community values. We’ve seen our neighbors leap at the opportunity to pursue options to keep their electric money local and lock in lower rates. The city of Aztec and Kit Carson Electric Cooperative have secured fixed-rate 10-year contracts for electricity that is cheaper than Tri-State’s. We don’t know what Tri-State intends to charge us five or 10 years from now. But recent experience indicates we are in for sticker shock if we stick with the status quo. That’s the decision: Stay the course with increasingly expensive, coal-generated electricity, or shop for better, cheaper, cleaner options that keep our money local. Some candidates – Tim Wheeler, Britt Bassett and Jeff Mannix – clearly support the latter. Now, the choice is ours.